event sponsored by the the WLCU British Columbia Council. Mr. Maalouf presented the history of the public transport in Lebanon and the possibilities of restoring the railroad. Then, the participants continued the discussion around a small reception. In order to thank the organizers of the evening, the speaker offered two copies of the book « Lebanon on Rail » to Mr. Pierre Ahmarani, director of Radio-Canada, Arabic Section, and to Mr. Sari Madi, president of the Federation of Lebanese students. Pierre Ahmaranian received a copy of the Book” Lebanon on Rail” from Mr Maalouf. 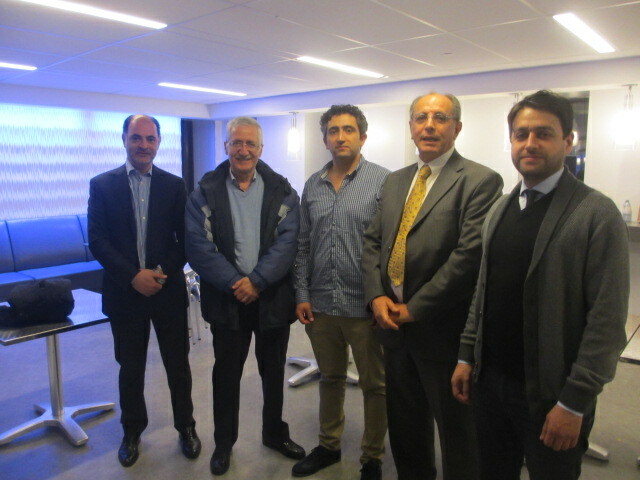 A reception followed the conference where Mr Maalouf mingled with the audience and it was a good opportunity for him to meet distant cousins for the first time.